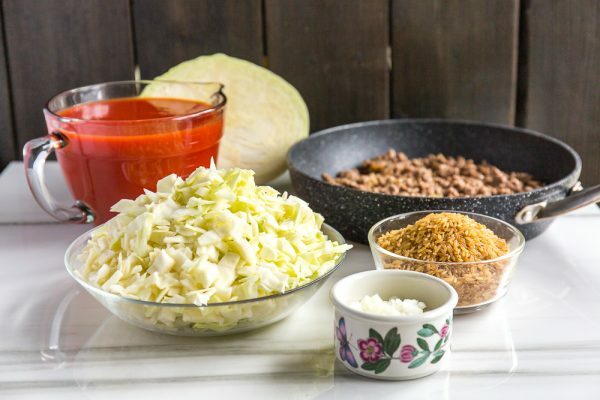 Canadians love cabbage rolls but the traditional preparation is very time consuming. 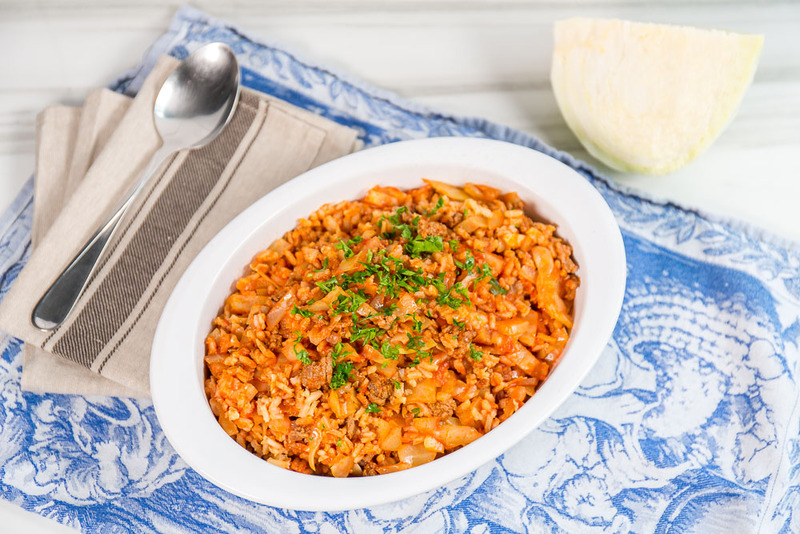 Save yourself the effort, but love the flavour in this family friendly cabbage roll casserole dish! 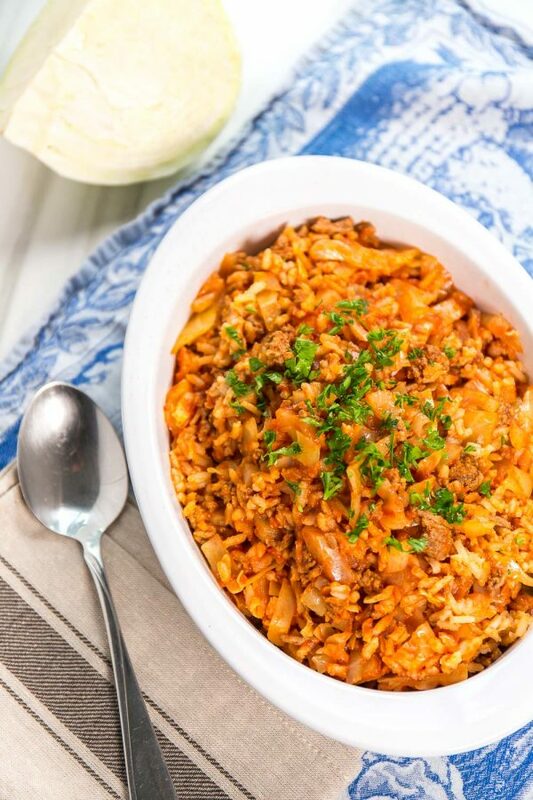 Cabbage rolls are traditionally served with perogies and sour cream. 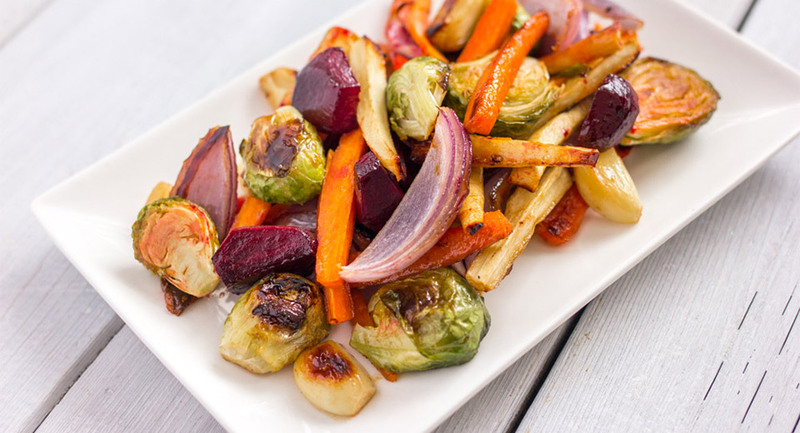 Some people also enjoy caramelized onions as an accompaniment. 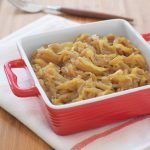 You might like to check out our recipe for Caramelized Onions – prepared in two different ways! Preheat oven to 400°F (250°C). In a frying pan, brown the meat with onion. When almost done, add the garlic to soften. Once cooked drain any excess fat and transfer to a baking dish. Add the brown rice to the meat mixture and stir to blend. Then add the cabbage and pour over the tomato juice and stock. The liquid should come almost level with the cabbage, but not totally submerge it. Add a little bit of water if you need more liquid. Cover with either a casserole lid or tin foil to seal. Bake for 1 hour, take the dish out and stir it, then bake for another 30 minutes. If your dish has a lot of liquid after the first hour, remove the cover for the last 30 minutes of cooking. You could make this the day or night before. Prepare as you would until the first hour of cooking is done. Instead, remove it from the oven, give it a stir, and let it cool. Then cover and store in the fridge. The next night, simply cook for the last 30 minutes. In this instance, it is recommended that you keep the dish covered while cooking.